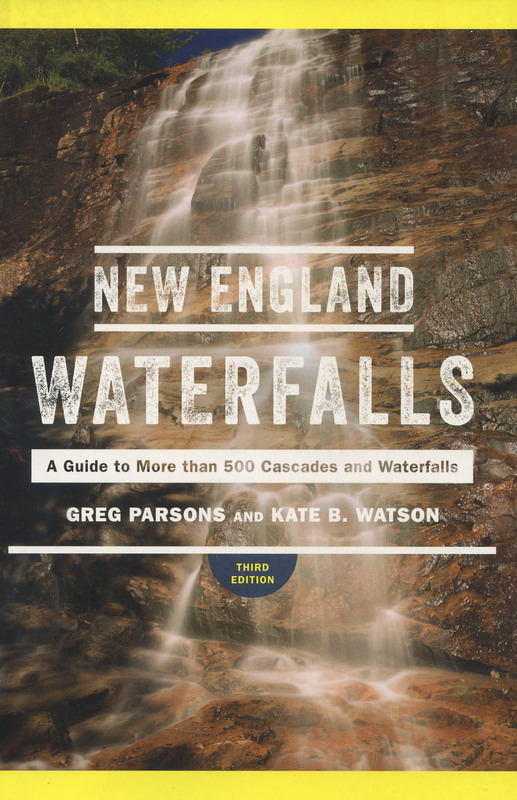 New England Waterfalls, by Greg Parsons & Kate B. Watson, 3rd Edition, 2019. Revised and greatly expanded, this fine guide now describes nearly 200 waterfalls and cascades in detail, and provides listing information to over 200 more. The waterfalls are organized by state and each entry includes a description of the waterfall, driving directions, trail information, GPS coordinates, plus data on type, height and scenic rating. Full-color maps and photos are included for many of the falls. Also includes waterfall photography tips and list of best waterfall day hikes. 550 pp., 6" x 9."